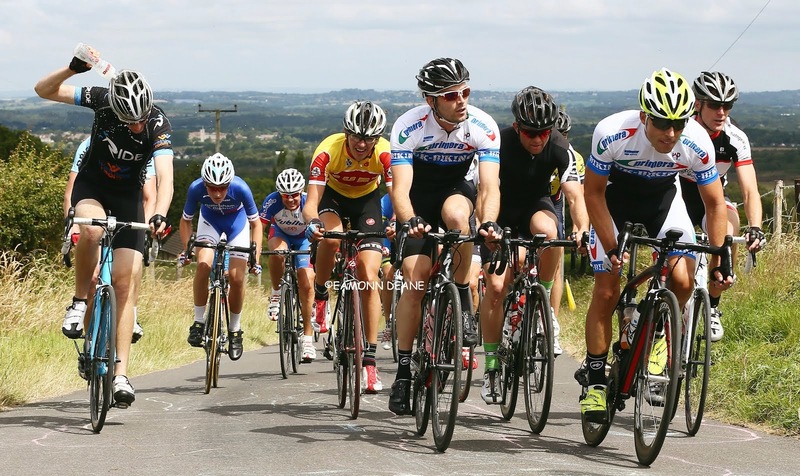 Disappointed to miss the winning move at the Perfs Road Race on the same roads the previous week, Matt Downie (PrimeraTeamjobs) got the frustration out of his system winning the VC ST Raphael Hardriders 18 mile time trial. 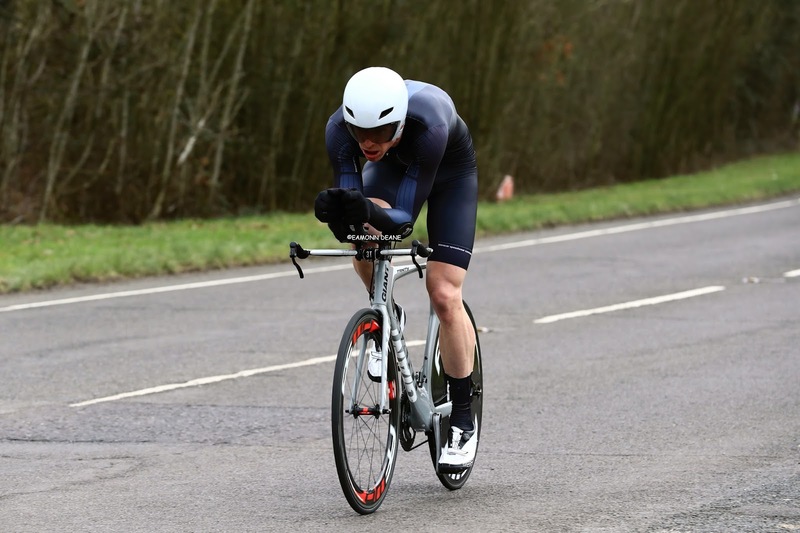 Downie scorched around the Southwick-Boarhunt circuit, clocking 41:53 to win the road bike event, a time that would have given him third place in the TT race. 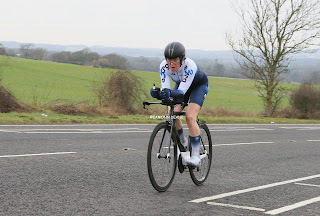 The Primera Teamjobs road man finished 2 mintues clear of Craig Wallington (Sarum Velo) with Phil Wilks (Sotonia CC) third with 44:25. 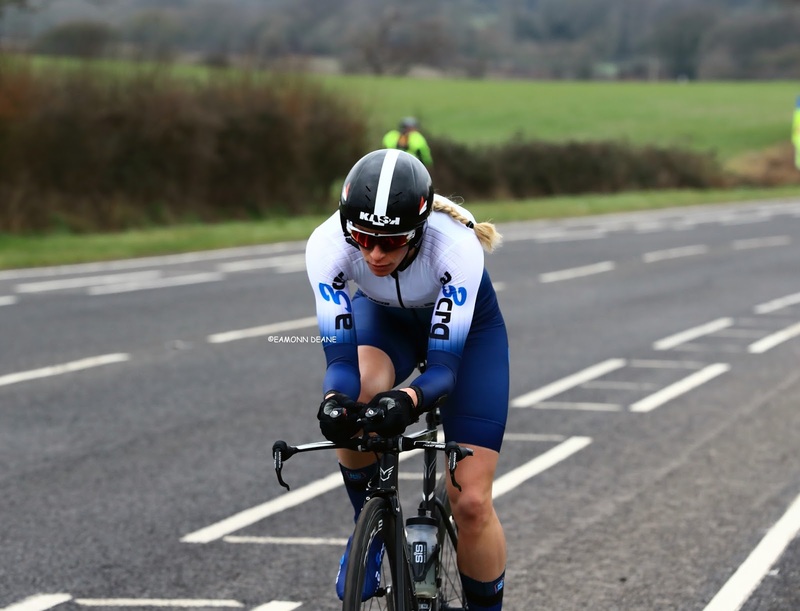 The Devon Primavera & Betty Pharoah races are up next for Downie who said "I chose my points to recover and to suffer but there was a lot of suffering, i am so glad today went well". 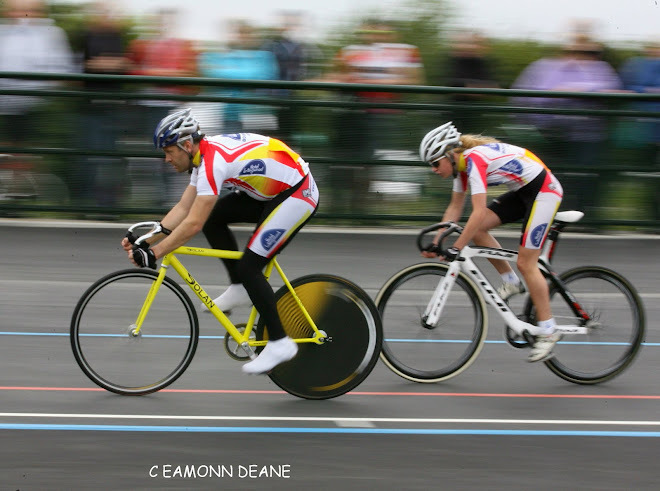 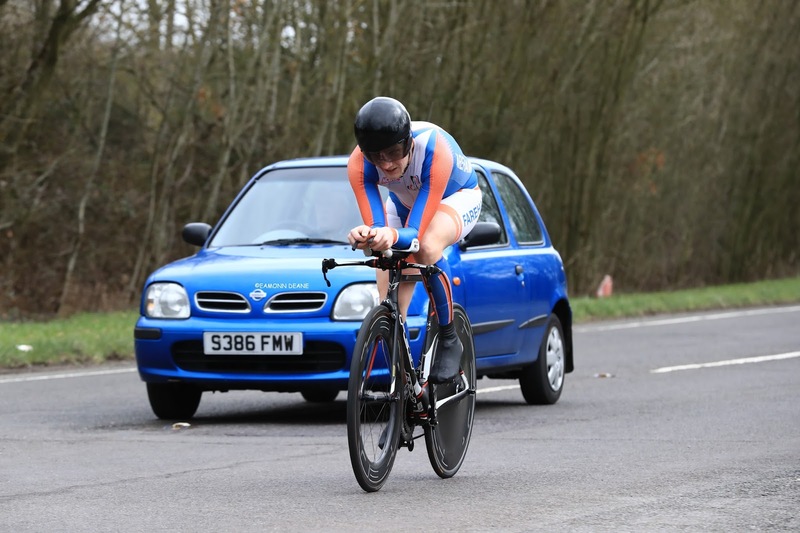 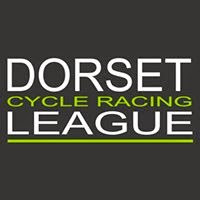 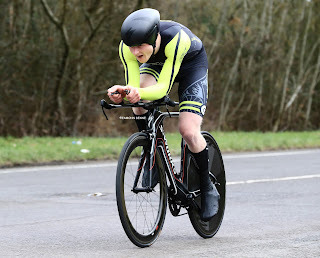 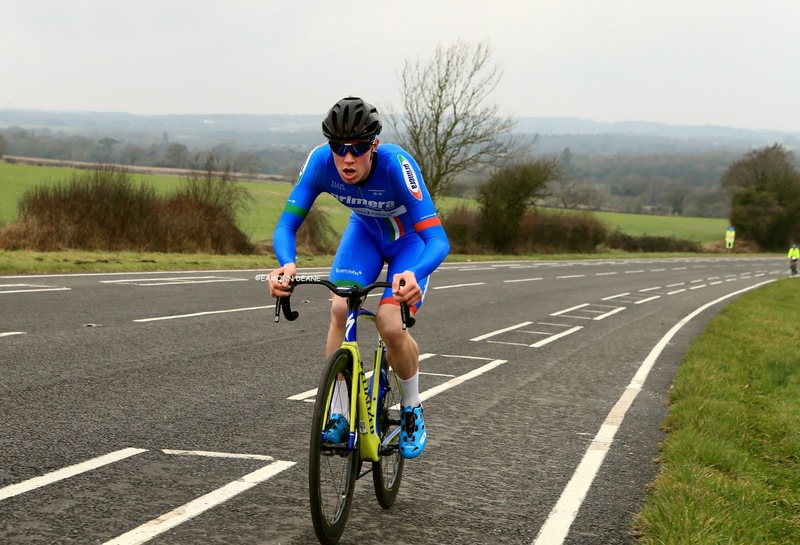 In the TT Bike event, James Copeland (Fareham Wheelers) got his season off to a winning start, his 41:37, 9 seconds clear of Tom Pritchard (Hampshire RC), James Mapley (Blazing Saddles), 42:26, had led at the first time check but slipped back to third. 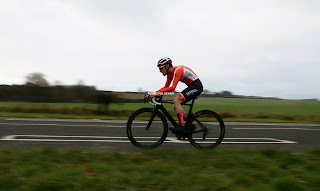 Copeland has only been back on the bike six weeks after breaking his shoulder blade back in the autumn , crashing while riding home from work. 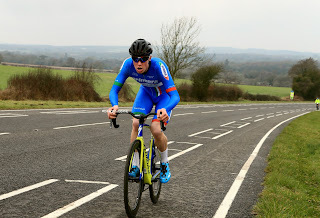 Pre race favourite Chris McNamara (Nuun-SigmaLondon RT) snapped his stem on the start line and was forced to withdraw. 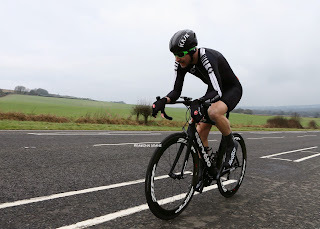 Disappointed yet philosophical, McNamara rode the 50 miles back home to Eastbourne on his training bike as planned but pushed a little harder than anticipated. Simone Dailey (..A3CRG) led the women home and defended her title from last year. 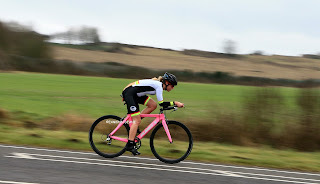 A triathlete and runner, Dailey recorded 46:53 to finish with over 3 minutes in hand on Sarah Mathews (..A3CRG) with Lili McLean (Abbots Ann Cycles) taking third spot with 56:05. 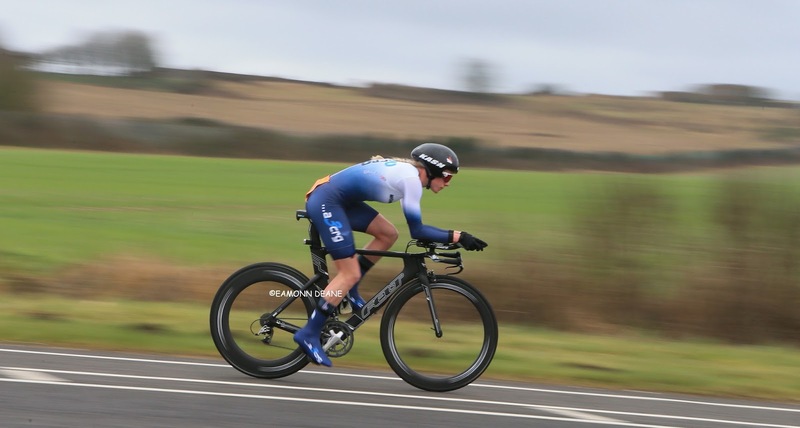 Dailey is targeting the BBAR alongside her triathlon ambitions but before that she runs in the national cross country championships in Nottingham next weekend. Most agreed the slightly different course, although longer was faster than last year on a dull still morning on the Hampshire coast.